As well as producing fun and friendly hand puppets, The Puppet Company are responsible for, wild and crazy, sockettes glove puppets. Vibrant, tactile and cheerful - why don't you have a go and squeeze that cheeky tongue squeaker! 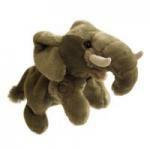 Thank the Puppet Company for bringing back hand puppets, and for making them fun!! 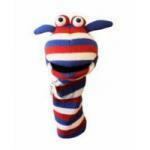 A delightful range of sock glove puppets, designed in bright colours to bring the "play" out in children and adults alike. 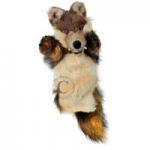 Traditional and not so traditional glove puppets made of super-soft fur! 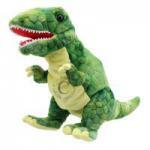 Bring these prehistoric creatures back to life with our puppets! Cute little bears just for small hands.